Listed below are the events I have for the next 30 days here in the Metro Detroit area, of which there is no new items. You can also go to the Legion 328 website to download any flyer for these future events at http://www.legionpost328.org/events.htmlIf your group has an event benefiting veterans, or you hear of an event, please share with me so I can share with the veteran community. I would rather get an event 3 times than not at all! Please make sure any flyer lists address of event and a contact person! 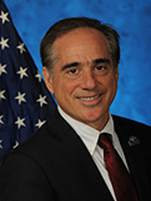 Office of Public and Intergovernmental Affairs David J. Shulkin Under Secretary for Health The Honorable Dr. David J. Shulkin is Under Secretary for Health for the United States Department of Veterans Affairs. As the Chief Executive of the Veterans Health Administration, Dr. Shulkin leads the nation's largest integrated health care system with over 1,700 sites of care, serving 8.76 million Veterans each year. The Veterans Health Administration is also the nation's largest provider of graduate medical education and major contributor of medical research. Dr. Shulkin will have oversight over the system that employs over 300,000 people who work in the health system.